Soak Rice and Dhal for 30 minutes. Grind all the ingredients given below "To grind" and make a fine paste. Heat Oil temper mustard seeds followed by chopped onion, curry leaves, Turmeric powder then ground paste. When raw smell goes off add coriander leaves and mix this with soaked rice and dhal mixture. Add salt and required water (1:2), pressure cook it for 3 whistles or use electric cooker. 1. If using whole Moong dhal/Pasi Payir or Red Chori Bean/Karamani/Thattai Payir like dried beans soak 6 hrs at least before cooking. 2. 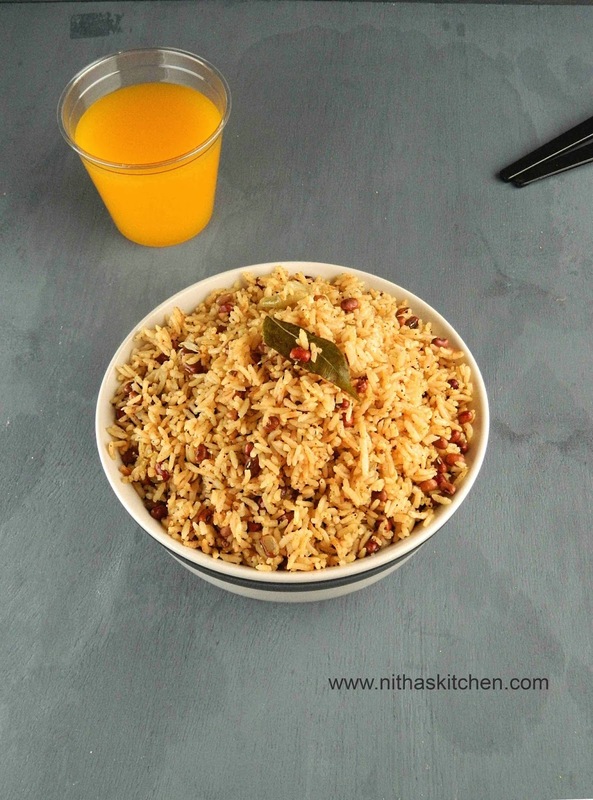 Can use any type of rice, Raw rice like Basmati can be cooked directly and soak only the dhal. However soaking rice depends on the variety you use.